Scientists have discovered what could potentially be the oldest signs of life on planet earth. What they have dug up could also shed light on the age of our planet. A team working in Australia found sedimentary rocks containing a bacterial ecosystem that seems to date back nearly 3.5 billion years. They described the bacteria as “possibly the oldest signs of life on Earth,” according to the UK’s Daily Telegraph. Previous bacterial ecosystems dated back 3.4 billion years. 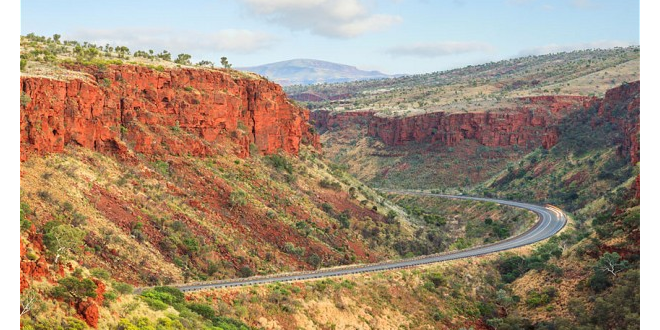 The Pilbara region of Australia where the scientist found the rocks already boasts a reputation for containing some of the oldest rocks on the planet. The discovery not only gives more clues for life on Earth, but it might also help scientist investigate life on other planets. The Carnegie Institution for Science explained that the rock surface contains “microbially induced sedimentary structures,” also known as MISS, which is what the Mars rover Curiosity is currently searching for. The team behind the discovery is made up of Nora Noffke, Robert Hazen, Daniel Christian and David Wacey. Mashable reached out to Wacey; we’ll let you know if we hear back. Previous: Rebecca Black Releases ‘SATURDAY’ Music Video!